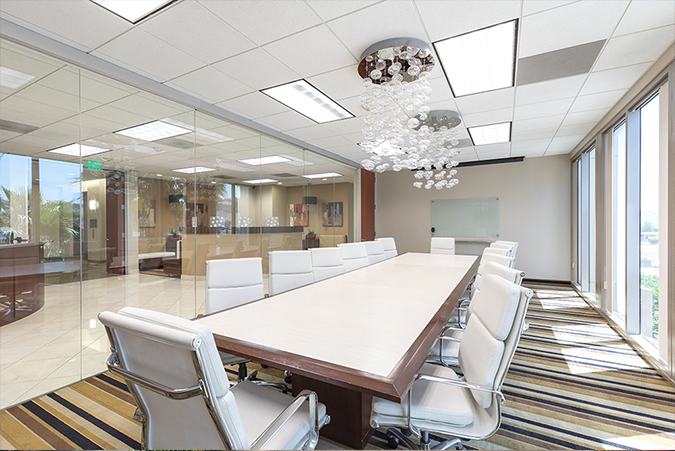 Our Class A, Mission Viejo building, which is one of the most prestigious corporate buildings in Mission Viejo, California, offers an inviting and ideal spot for any business’s office space or meeting rooms. The Energy Star labeled building is beautiful with it’s steel-framed construction, and reflective glass and limestone facades. 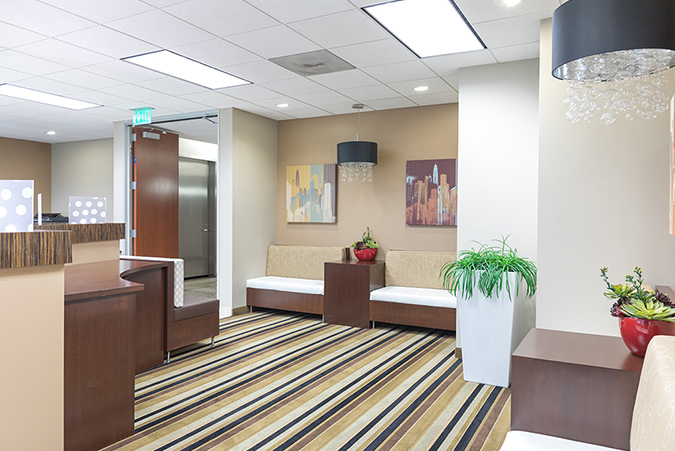 If your business is looking for an energetic office location in, or around, Mission Viejo, Premier Workspaces has the solution. The Mission Viejo location is adjacent to Crown Valley Parkway and the 5 freeway, as well as the 73 toll road. It provides convenient access to all of South Orange County, specifically Aliso Viejo, Laguna Niguel, and Ladera Ranch. The John Wayne Airport is also conveniently located only 15 miles (15 minutes) away. Some of the Mission Viejo office’s feature views of the beautiful rolling hills of Nellie Gail, and the building has a central courtyard which offers relaxing fountains and a picnic area. Free surface parking is available, as is paid, garage parking. And there is excellent local transportation services that include a bus transit within walking distance of the building, and the commuter rail. Also, one of the nearby bus stops has a route to the Metrolink Station in Laguna Niguel. The Kaleidoscope Mall is just a few minutes away, right across the street from the Shops at Mission Viejo, providing the area with a number of retail and dining options. A diversity of parks in the area include the Florence Joyner Olympiad Park and the Ronald W. Caspers Wilderness Park. There is also the Mission San Juan Capistrano, which is full of interesting history that is displayed through exhibits and tours. In addition to both short term and long term office space, this Mission Viejo location also offers hourly and day offices to accommodate any business need. Our full time offices include top of the line furnishings, along with high-speed internet, personalized telephone answering service with voice mail, and mail handling and distribution. 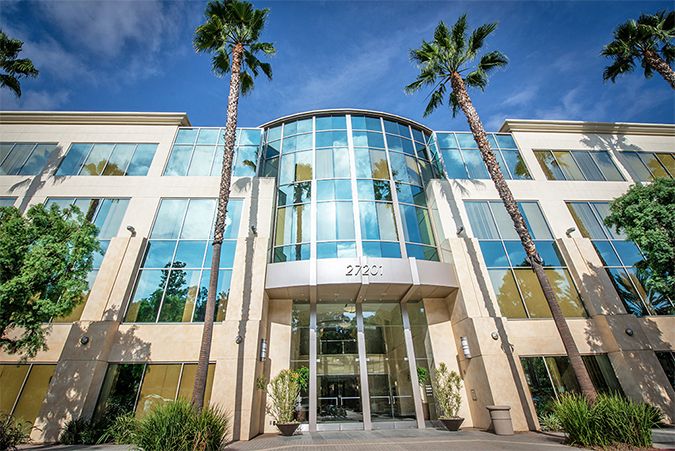 For companies in or around Mission Viejo that don’t need full time office space, but still want to maintain a professional image, Premier Workspaces also offers virtual office plans, which provide a professional business address, mail handling, personalized phone answering, and access to a conference room. 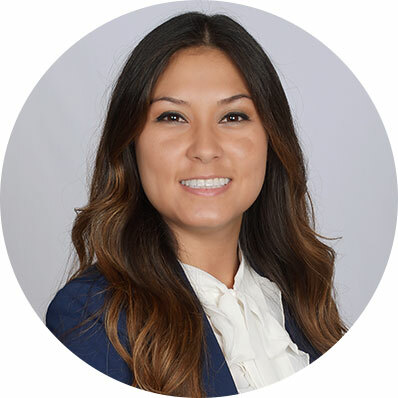 This Mission Viejo location offers executive suites and meeting rooms, and we can also provide our incredible team of skilled and positive professionals who are ready to take care of your secretarial, administrative, and information technology needs. You don't have to be a large corporation to enjoy working in a world class corporate environment.